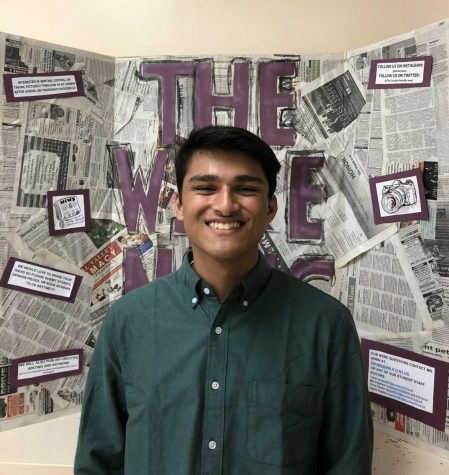 Anuj Chowdhuri is a senior new to The Wire news. He loves music, math, and spending time with his friends. He enjoys meeting people, eating things, reading, and writing. He spent the first seven years of his life in Nanuet before moving to Monroe. He is figuring out a lot of things including college and what he's going to do with his life. He is involved in Mock trial, Interact, and NAHS this year along with The Wire.